Oklahoma-born Allie Reynolds turned a career of great pitching, 6 All-Star games, and 6 titles into a spot in this souvenir 24-card set, published to promote the Great Plains Sports Collectors Association's 1975 convention. Its simple design reminds me of the 1954 Red Heart set, though without the nostalgic (and more expensive) hand-tinted fronts (Google images). 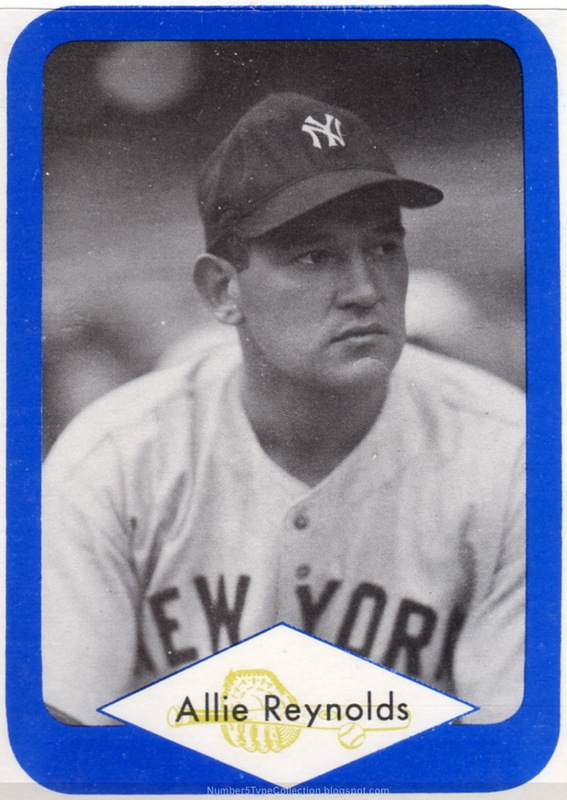 Allie helped New York win an unprecedented 5 straight World Series from 1949 to 1953. Could a team be that dominant in today's free agent era? Since 1973, the Yankees do lead baseball with 7 titles--but that's just 1 more than Reynolds picked up in less than a decade. 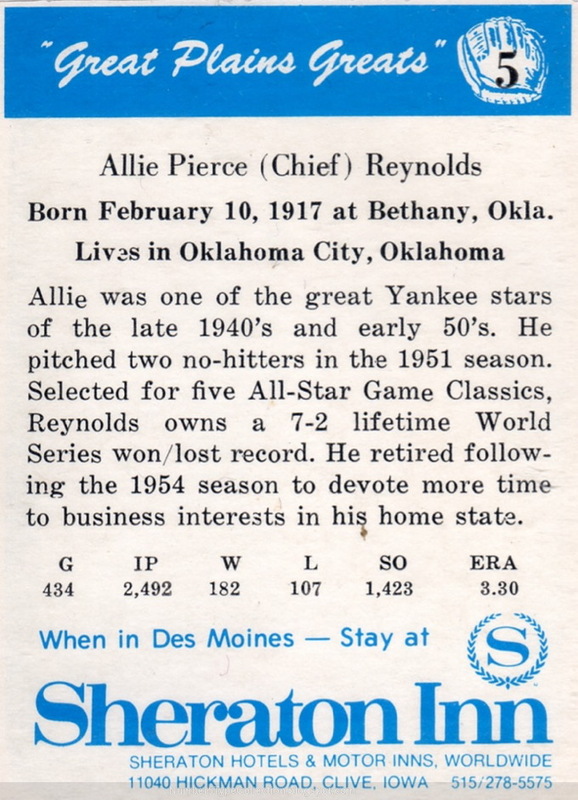 Aside from his pitching accomplishments, Allie Reynolds was also the son of a preacher man. Alert Dusty Springfield! Value: This #5 cost $5 on eBay. Its bigger names (Feller, Maris, Berra) cost $10 or more. Fakes / reprints: Haven't seen any fakes in the market and assume the market's too small to be worthwhile.